LVMH Moët Hennessy Louis Vuitton, the world’s leading high quality products group, recorded revenue of 12.5 billion Euros for the first quarter 2019, an increase of 16%. Organic growth was 11% compared to the same period of 2018. The trends observed in 2018 continued throughout the first quarter. All geographic regions are experiencing good growth. 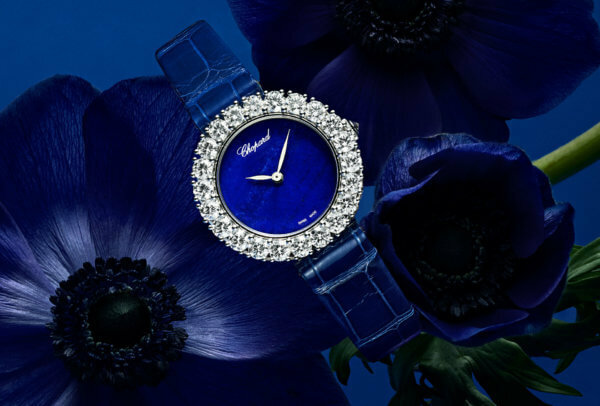 The Watches & Jewelry business group recorded organic revenue growth of 4% in the first quarter of 2019, driven by the performance of its jewelry. Bulgari made strong progress in its own stores, driven by its iconic lines Serpenti, Divas’Dream, Lvcea and its new Fiorever collection. 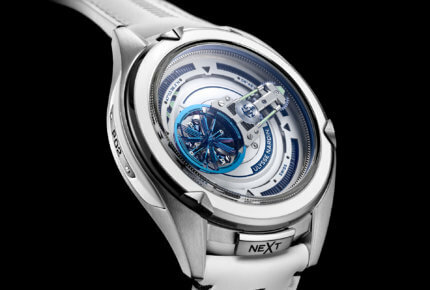 The innovative products presented by LVMH’s watch brands at the Baselworld Watch & Jewelry Fair were very well received, including Hublot’s Classic Fusion Ferrari GT watch, Bulgari’s Serpenti Seduttori and Octo Finissimo Chronograph GMT Automatic watches, TAG Heuer’s connected watch model for golfers, and Zenith’s new Defy Inventor and Defy El Primero 21 Carbon models. 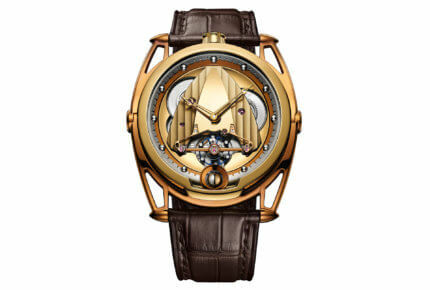 The 4th edition of Dubai Watch Week will take place from 20th – 24th November 2019. The theme of this year focuses on ‘Innovation & Technology’. The event maintains its commitment to showcasing ingenuity and creativity of the watch industry, providing enthusiasts, collectors and visitors with yet another exciting and immersive platform in which to learn more about the horological world. This event celebrates the intersection of radical thought with technical ability; whether it relates to disruptive messaging, sophisticated complication, research & development or transmission of knowledge, it champions all ways that innovation & technology have been applied to watchmaking. At the heart of every interaction will be the experience provided by the brand at Dubai Watch Week’s signature exhibitions that allow visitors to access our themes through various touchpoints. 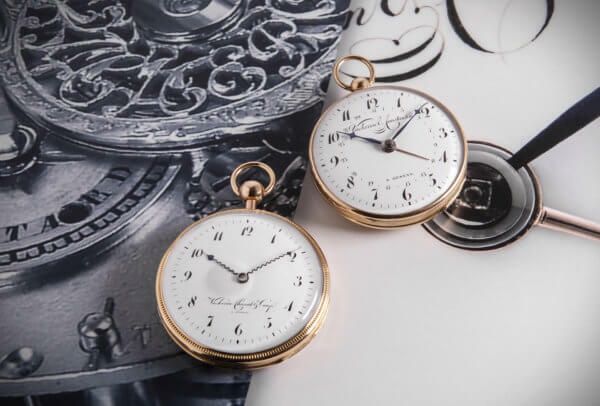 The 2019 edition will also include popular events such as Masterclasses, the Creative Hub and the return of the renowned Horology Forum. David Chaumet is the new Chief Executive Officer of Baume & Mercier. Till recently Chaumet was the Managing Director Asia Pacific at Roger Dubuis and Specialist Watchmaker Maisons activities in Hong-Kong Macau. Chaumet joined Richemont eleven years ago as Head of Customer Service and Quality at Roger Dubuis, before being promoted four years later to Brand Director Switzerland and Regional Brand Director Western Europe. 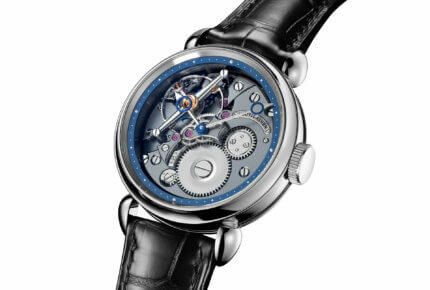 Prior to joining Richemont, David Chaumet was Director of Operations at TWC Group (The Watches Connection) and beforehand Brand Manager within Total Group. Happy to join the team David Chaumet says “I am sincerely delighted to join Baume & Mercier after an incredible journey within Roger Dubuis. We will consolidate the strategy, driven by a constant quest for quality, combining performance, technical achievement and refined design”. The candidature of horological know-hows and mechanical watchmaking artistry has been officially deposited at UNESCO for inscription on the Representative List of the Intangible Cultural Heritage of Humanity. Switzerland has submitted this file in collaboration with France. UNESCO should decide on the inscription of this emblematic living tradition of the Jura Arc in November 2020. Switzerland is also associated with the candidature of the “Handicrafts and customary practices of cathedral workshops in Europe” placed under the Aegis of France. The Audemars Piguet Manufacture will build a new watchmaking campus in Le Brassus, Switzerland. Work should begin next year and last five years. Its current site, which dates from 2008 only, will be dismantled in favor of a new circular building. The new 50,000 m² workspace will meet the needs of the company. 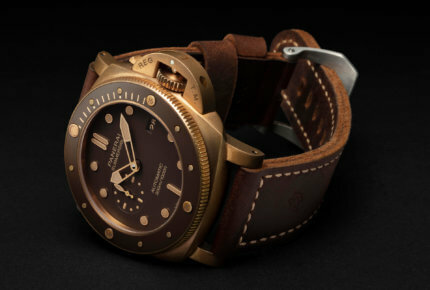 It will bring together the employees of the 12 sites of Audemars Piguet based in the Vallée de Joux. The workforce is expected to increase from 800 to 1,200 employees. The AP Campus should be inaugurated in 2025, corresponding to the 125th anniversary of the watchmaker, which claims to have experienced an “extraordinary” development in recent years. In Le Brassus, the company is also rebuilding the Hôtel des Horlogers and will soon inaugurate a new museum. French luxury brand Hermès Group has posted a strong performance in 2018 on the back of increased demand from Chinese clients. The group announced a 10.4% increase in consolidated revenue from the year before, amounting to €5.9 billion ($6.8 billion). The company also posted a 15% increase in net profit reaching €1.4 billion ($1.6 billion) and a further 6% increase in operating income to €2 billion ($2.3 billion) or 34.3% of sales. The company said revenues in Asia, excluding Japan, were up 14% driven by strong growth in China and in South Asian countries, while revenues in Japan improved 8%. 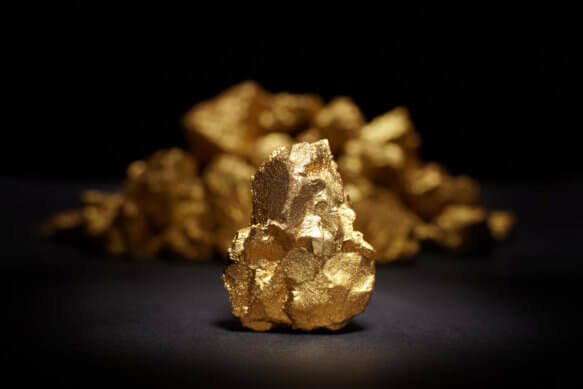 The company said for the year ahead, it has an “ambitious goal” for revenue growth in the medium term despite uncertain economic, geopolitical, and monetary factors around the globe. 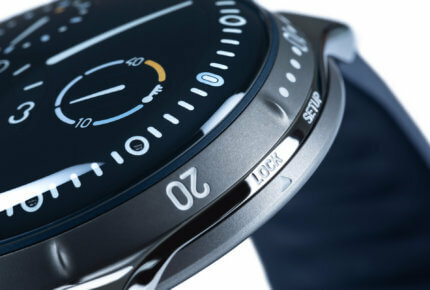 South Korean tech giant Samsung has been dragged in to court by popular Swiss company Swatch group for infringing a trademark of the company’s design in one of Samsung’s wearable devices. The watchmaker alleged that the South-Korean company copied its design for downloaded smartwatch faces and filed a complaint in a district court in the US. In the complaint, Swatch stated that Samsung’s watch faces “bear identical or virtually identical marks” to the trademark that Swatch owns and uses for the watches of its brands like Tissot, Swatch, Omega, Longines. Swatch has alleged that Samsung’s Gear S3 and Frontier smartwatches have copied its downloadable designs and asked for more than $100 million in damages. In 2018, digital advertising spending reached $ 109 billion in the United States, in rapid growth for several years. In 2011, for example, the amount totalized only 32 billion. And growth is expected to remain strong, according to market research firm Emarketer, which expects a 19% rise this year and again 17% in 2020. For the first time this year, spending in digital advertising should exceed those devoted to traditional supports. A crucial step if we consider that in 2011, the digital represented only one fifth of the total market. Overall, the digital advertising market in the United States is by far the largest in the world, twice as big as the one in China. First jumping, now sliding! 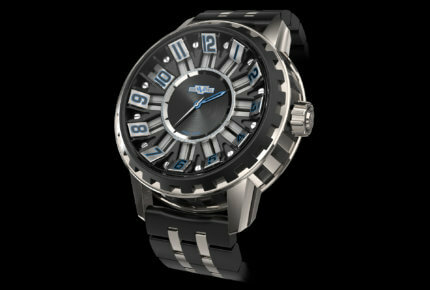 Manufacture DeWitt offers a creative view of time with the original and amusing Academia Slide. The ethos of Kari Voutilainen is captured in this 28ti, whose elegant, sturdy mechanism is housed inside a stylish and robust case. 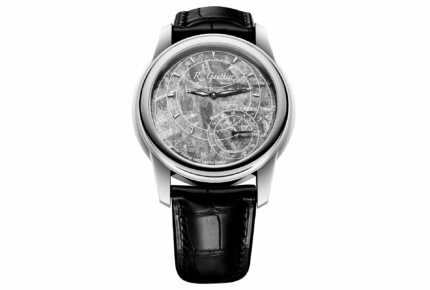 The dial is removed, leaving a clear view of the superbly finished movement. 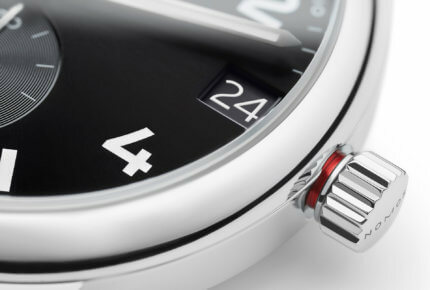 Nomos enters the sport watch segment with the Club neomatik 42, which is also the first Nomos watch to have a metal bracelet. 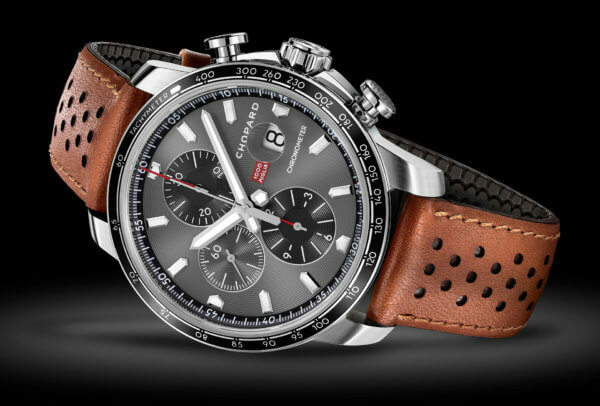 Generously sized at 42mm and water-resistant to 300 metres, it's made for an active life. A master in the art of heat-treating metals, De Bethune explores the warm shade of yellow, achieved through thermal oxidation of the grade 5 titanium case and movement components in the DB28 Yellow Tones. 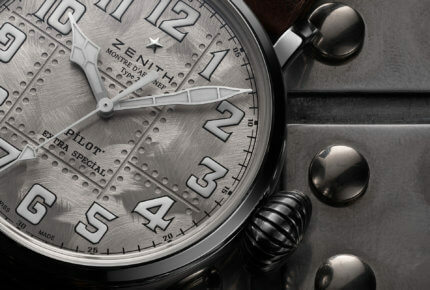 Zenith has chosen its iconic Pilot line for its very first silver case, presented as a limited edition of 250 pieces. 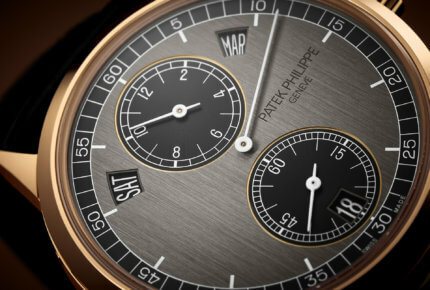 A new face for the Patek Philippe "Regulator"
Debuting in 2011, Reference 5235, which combines Patek Philippe's patented annual calendar with a regulator-type display, now comes in pink gold with a two-tone graphite and black dial.